Since PAWS Chicago was founded in 1997, the killing rate of homeless pets in Chicago has dropped nearly 70 percent. PAWS is the largest no-kill humane organization in Chicago. The organization thrives on the help of its estimated 5,000 volunteers. 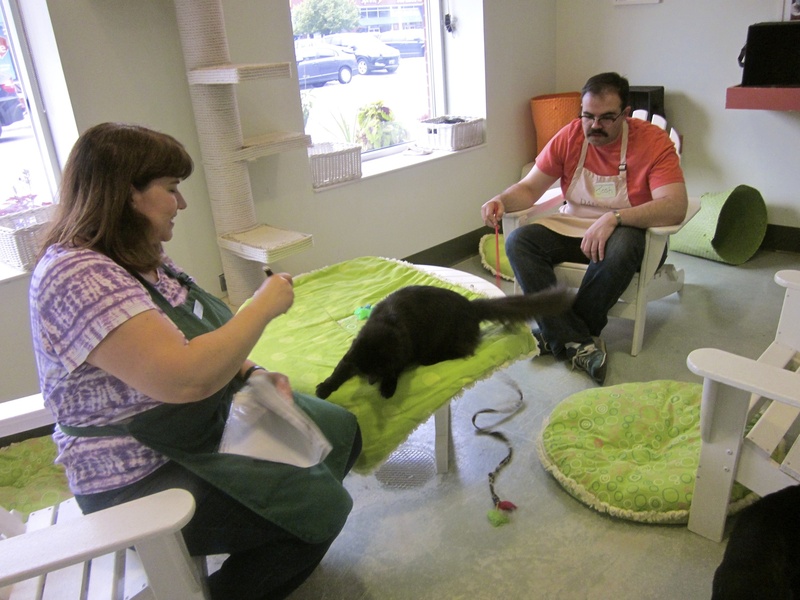 In 2012 alone, volunteers spent over 90,000 hours of their time helping the center’s homeless animals. Volunteers at the PAWS Chicago adoption center, located at 1997 N. Clybourn Avenue, socialize with the animals on Saturday, October 12. Before working at the center, all volunteers must attend a two-hour New Volunteer Orientation and complete a training program based on their area of interest.